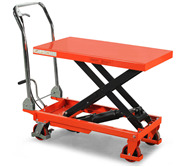 Welcome to our Material Handling Systems department, here you will find our comprehensive range of material handling systems. 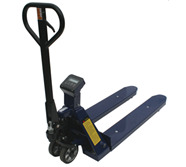 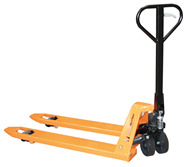 We stock a range of Pallet trucks, Material lifts, Site trolleys, Sack trucks, Forklift attachments and much more. 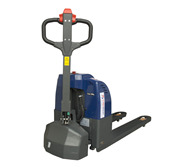 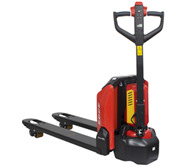 We specialise in reliable, heavy-duty Material Handling Equipment which can move large and heavy items around your site or warehouse with ease. 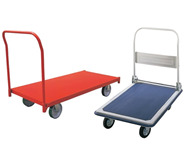 Before you purchase any handling equipment, please ensure you have selected the correct product. 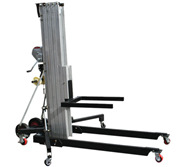 Each of our products has a different Working Load Limit (WLL) stated on the product page, make sure you have checked this before placing your order. 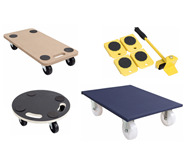 Many of our Handling Equipment is available for both purchase and hire! 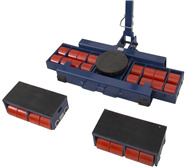 To buy or rent a suitable piece of Handling Equipment, simply the 'Hire Me' or 'Buy Now' option below your desired product and follow the on-screen instructions until your order or enquiry is complete. 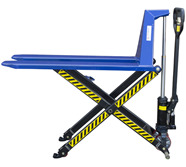 In the unlikely event you cannot find a specific piece of material lifting equipment, please contact the SafetyLiftinGear team by telephoning 0117 9381 600 or emailing sales@safetyliftingear.com.